Bishop-Count Victor de Kubinyi (1873-1966) was, as Mar Paul, a bishop of the Apostolic Episcopal Church from 1932 onwards, having served in other churches previously with a special ministry to Hungarian immigrants to the United States. He was a member of the Order of the Crown of Thorns and received the distinction of Doctor Christianissimus. He was a Hungarian nobleman and the godson of the Emperor Franz Josef of Austria. On 18 March 1897 he was ordained priest in the Roman Catholic Church by Bishop Osaszka. In 1905, he moved to the United States. Having left the Roman Catholic Church in 1911, he founded the Hungarian National Church, South Bend, Indiana, in the following year, and was consecrated for that body by Arnold Harris Mathew of the Old Catholic Church of Great Britain on 13 June 1913. On 7 December 1913 he and his church were admitted to the Protestant Episcopal Church by Bishop John Hazen White of Northern Indiana. He became associated with Prince-Abbot Joseph III and, having resigned his ministry in the PEC, was consecrated by him on 9 October 1918, serving as bishop in the American Catholic Church, of which he was appointed an Ordinary on 16 October 1924. In November 1924 he was additionally admitted to the Cathedral Chapter of the African Orthodox Church. In 1925 he left the American Catholic Church for the North American Old Roman Catholic Church under Carmel Henry Carfora, and because Carfora did not accept Holy Orders from the Vilatte lineage, was consecrated conditionally by him on 13 May 1925. He built up a community known as The Traditional Christian Catholic Church (L’Eglise Chrétienne Catholique Traditionelle). In 1932 he and his community joined the Apostolic Episcopal Church, and he was conditionally consecrated on 27 November 1932 by Mar Antoine Lefberne (1862-1953), bishop and exarch of the Chaldean Catholic C hurch. In 1935, he returned to Hungary where the remainder of his ministry took place. His books include The King of Rome, New York 1907; Napoleon I, New York 1911; True Religion, South Bend 1913; Behind the Curtain, South Bend 1913; Through Fog – To Light, South Bend 1914; Hungarian Service Book, South Bend 1915; Franz Josef I, South Bend 1917; Mr Man, New York 1920; As We Are, New York 1929. 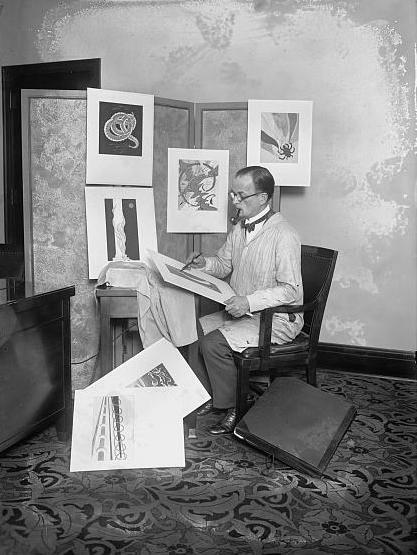 He was also known as a painter and lecturer on modern art and is depicted in that role in the photograph to the right. 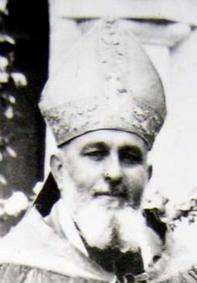 Bishop Louis-Marie-François Giraud (1876-1951) was Primate of the Eglise Catholique Gallicane (the Gallican Church) in succession to Bishop Jules-Ernest Houssaye. He was a Prelate-Commander of the Order of the Crown of Thorns. Giraud became a choir-brother at the Cistercian monastery of Fontgombault aged sixteen, and received the minor orders. 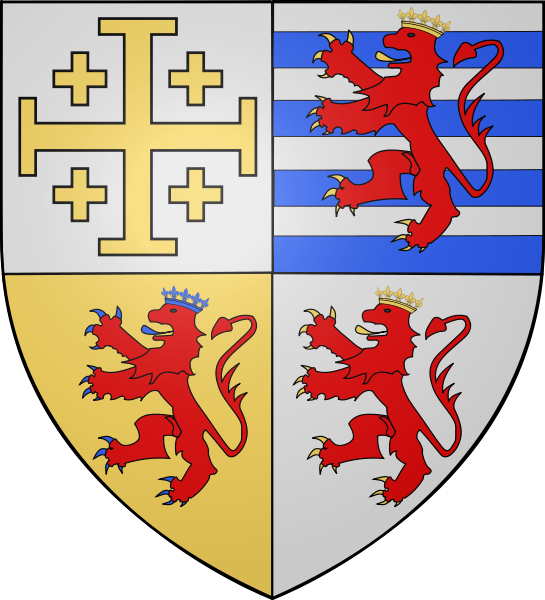 In 1905, the monastery was dispersed and the following year Giraud, having heard of Prince-Abbot Joseph III, placed himself under his jurisdiction and was ordained conditionally up to the priesthood, that last order being conferred on 21 June 1907. He served the parish of the Holy Apostles in Paris from 1907-08 and his popularity led to his election as bishop in the latter year. He moved to the parish of Ardin, and by 1911, he was serving as vicar to the Abbé Julio (Houssaye) at the chapel of Aïre in Switzerland. Houssaye consecrated him but died the following year. Giraud then returned to France and established himself at La Mine-Saint Amant Roche-Savine (Livradois). In 1913 his work bore fruit when he dedicated a church there to the Holy Trinity. He served in the war of 1914-18 as a military chaplain and was twice mentioned in dispatches for rescuing wounded soldiers under fire. He was Primate of the Eglise Catholique Gallicane and Prelate Commander for France of the Order of the Crown of Thorns from 1912 until his retirement in 1950. Jules-Ernest Houssaye (1844-1912) was known as the Abbé Julio and was a French Gallican bishop known for his writings on esoteric matters. He was admitted a member of the Order of the Crown of Thorns by Prince-Abbot Joseph III in 1893 and served as Prelate-Commander and its representative in France (later Switzerland) until his death, maintaining a Secretariat at 21 Croix-des-Petits-Champs, Paris. He was formally invested by Prince-Abbot Joseph III in 1898 at 5, Rue Vernier, Paris. His episcopal arms bear a suspension of the jewel of the Order and a photograph of his office shows his commander’s collar together with the sword of his commandery. He was ordained priest in the Roman Catholic Church on 16 March 1867 by Casimir Wicart, Bishop of Laval, and in 1870 was vicar of Grand Oisseau. At the outbreak of the Franco-Prussian War he volunteered and became a military chaplain. He was acclaimed as a national hero after on a single day rescuing ten wounded soldiers under enemy fire; that same night he led twenty soldiers who had become lost through the forest. After the war he became vicar of Juvigné, but his health broke down as a result of his war service and he was admitted to a military hospital. He returned as vicar of St Joseph in Paris, where his social and religious views, although popular with his laity, aroused the ire of Cardinal Richard, his ultramontane ordinary, who caused Houssaye to be deposed in 1885. From this time, Houssaye turned to writing and teaching, issuing periodicals and promoting a Gallican and democratic viewpoint in church affairs. A chance meeting at that time with noted healer Jean Sempé led to an interest in Divine Healing, and Houssaye subsequently made a long study of this subject as well as gaining a reputation as a practitioner. His wide interests embraced much esoteric philosophy including studies in Gnosticism and Martinism, and he was a particular advocate of the use of pentacles. Nevertheless he maintained a strict orthodoxy of belief and worship. During 1901, he met Prince-Abbot Joseph III, and in 1904 founded the Liberal Catholic Church of France, for which he was consecrated by Paulo Miraglia Gulotti (a bishop consecrated by Prince-Abbot Joseph III) on 4 December 1904. 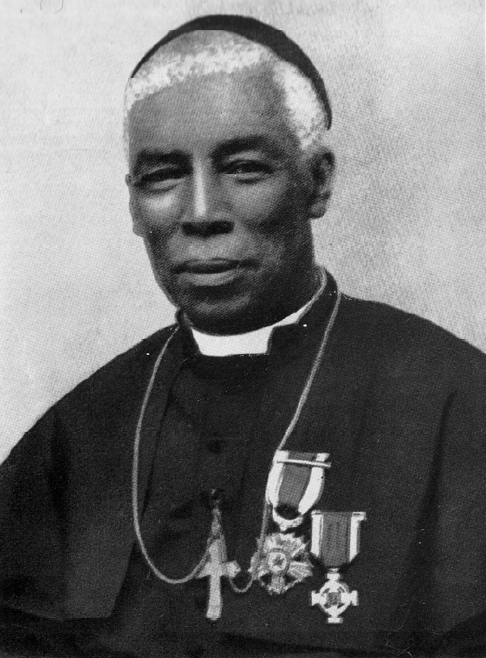 Between 1908 and 1912 he served as Primate of the Eglise Catholique Gallicane. His successor was Mgr. Louis-Marie-François Giraud (1876-1951). His relics are preserved in a small chapel in Haute-Savoie. 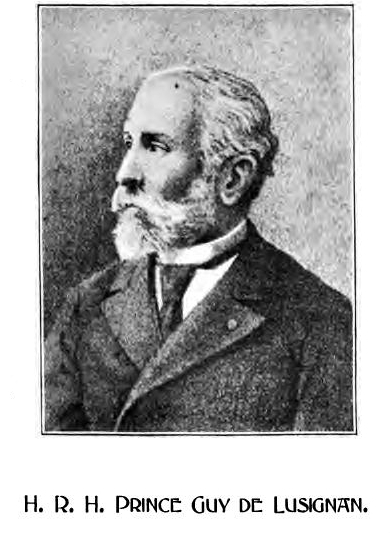 His books (some published under the pseudonym Benoît Gogo) include: Gorin et Cie, Société d’exploiteurs, Bruxelles 1886; L’Archevêque de Paris et les dames Carreau, Paris 1887; Passibonqueça, histoire véridique et peu surprenante d’un curé de Paris, manuscrit de l’abbé Le Gallo, Paris 1888; Un forçat du bagne clérical, Paris 1888. He was editor of L’Étincelle religieuse libérale, organe de l’Union des Églises and La Tribune populaire, organe de la démocratie religieuse et de la défence du clergé. Louis Prota Giurleo Miraglia Gulotti (1857-1916) was the first Primate of the Chiesa Episcopale Nazionale Italiana. He was Prelate-Commander of the Order of the Crown of Thorns for Italy. He was ordained priest in the Roman Catholic Church in Italy in 1879, taking the name Paulo, and joined the Society of Jesus. On 2 May 1895 he founded the Chiesa Cattolica Italiana Indipendente, and as a result was excommunicated by Rome on 15 April 1896. He founded the journal Le Jerome Savonarole. Prince-Abbot Joseph III consecrated him in Paris as Bishop of Piacenza and head of the Chiesa Episcopale Nazionale Italiana on 6 May 1900. Hearing of this event, Pope Leo XIII excommunicated Prince-Abbot Joseph III and confirmed the earlier excommunication of Gulotti on 13 June. On 15 September 1900, Gulotti established the Seminario Teologico di Formazione Presbiterale, Milan. Between 1900 and 1904 he was a refugee on Corsica, and there joined an independent Old Catholic mission. In May 1908 he settled in New York where he was Prince-Abbot Joseph III’s suffragan, and with him subscribed to the Declaration of Ecclesiastical Principles issued on 6 January 1910. He ministered extensively to Italian-American communities and established missions in New York, Ohio, New Jersey and West Virginia. In addition, he visited England, and consecrated William Patterson Whitebrook, a barrister, at Headley, Hampshire, on 27 December 1908. During 1916, Mgr. Gulotti was partially paralyzed and came to live with Prince-Abbot Joseph III at the rectory of Our Lady in Chicago. On June 25 he died of heart disease. His jurisdiction was subsequently incorporated into the North American Old Roman Catholic Church, which has several successor bodies that survive today. John Charles Thomas (September 6, 1891 – December 13, 1960) was a popular American opera, operetta and concert baritone. He was a member of the Order of the Crown of Thorns and received the Grand Prix Humanitaire de France et des Colonies. Thomas sang in a concert performance of Rimsky-Korsakov’s opera Sadko at New York’s Carnegie Hall in December 1924. His debut in a fully staged opera occurred in March 1925, as Amonasro in a production of Verdi’s Aida, presented by the semi-professional Washington National Opera. In the tough Great Depression years of the 1930s, he established himself as one of the most sought-after singers in America, with both a classical-music following and a considerable popular audience. His concerts normally offered selections from both repertoires: classical and operatic to begin, and American art songs and humorous “character” songs to close. He also appeared regularly on commercial radio programs. These included Five-Star Theater (in 1932-33 with the Joseph Bonime Orchestra), the Vince Radio Program (1934–36), the Ford, General Motors and The Magic Key of RCA shows (1937–40) and the Coca Cola show (1940–41). In 1938, he helped Edwin Lester launch the Los Angeles Civic Light Opera, appearing in the company’s very first production in Blossom Time. This work was derived from a Viennese operetta Das Dreimäderlhaus, with music arranged from that of Schubert and adapted for American audiences by Dorothy Donnelly and Sigmund Romberg. Thomas sang regularly in operettas with the LACLO until 1942, starring in productions of The Gypsy Baron, H.M.S. Pinafore, The Chocolate Soldier and Music in the Air. The Second World War made concert touring inconvenient, and very high taxes made it non-remunerative. Thomas was duly engaged to star on the Westinghouse Radio Program in 1943-46, accompanied by the Victor Young Orchestra. He probably reached his widest audience during this period, although his practice of performing songs exclusively in English has perhaps left him less well-remembered by today’s musical “purists” than he should be. Nevertheless many songs tailored for him to sing have gone on to become standards, such as the version of “The Lord’s Prayer” by Albert Hay Malotte and the arrangement of “Home on the Range” by David W. Guion. 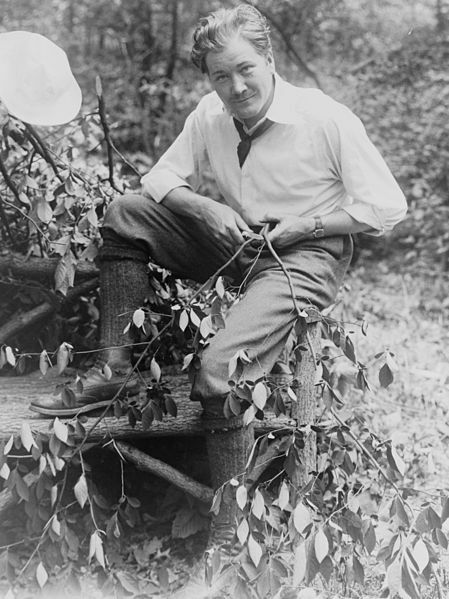 John Charles Thomas left a large pool of audio recordings, many of which sold extremely well in their day and have been transferred in recent times to compact disc. Only a handful of these recordings, however, are devoted to opera arias. His operatic voice is probably best appreciated in commercial offerings such as “Nemico della patria” from Andrea Chénier, and “C’en est fait… Salomé demande” from Hérodiade. However, live broadcast recordings of “Per me giunto” from Don Carlos, “Vien Leonora” from La favorite and “Il balen” from Il trovatore display his brilliant top notes and bel canto capabilities. He sang hymns, art songs, ballads, cowboy tunes, introspective German lieder, and shanties. Thomas belonged to a remarkable sequence of exceptionally gifted American operatic baritones whose neatly overlapping careers stretched in an unbroken line from the 1920s through to the 1960s. They included Richard Bonelli, Lawrence Tibbett, Arthur Endrèze (who was based in Paris), Leonard Warren and Robert Merrill. His was an essentially lyric voice, which, while not “light”, was more notable for its free top register than for its lower range. It was particularly suited to the French operatic repertoire, in which he was seldom heard in the United States apart from his Athanael in Massenet’s Thais. It had remarkable flexibility, which was enhanced by Thomas’s energy and expressiveness, particularly in his repertoire of popular material. In operatic work, however, this skill could be shown to good effect in trills and runs. Notable examples of his technical expertise are displayed his versions of “Il balen” from Il trovatore, and the “Drinking Song” from Hamlet. In common with a lot of singers of his inter-war generation, Thomas’s voice was highly distinctive. In part, this may have been due to his early career on Broadway. He knew how to “sell” a song—to build a stirring aria to a climax that would bring audiences to their feet. While the voice was always unmistakably his, it changed noticeably in character over time. His early recordings display a darker tonal hue, and the voice is stiffer, as though he were imitating the stentorian Italian baritone of a previous generation, Titta Ruffo. By 1931, and certainly by 1934, he had found the more fluid, natural vocal style for which he is best remembered. From the late 1940s into the ’50s, his vibrato began to widen, though it never became an unpardonable flaw in his singing technique, and the voice grew somewhat thicker and heavier in tone. He was a National Patron of Delta Omicron, an international professional music fraternity. He was awarded a star on the Hollywood Walk of Fame on February 8th, 1960. His rendering of the chorus of “Open Road, Open Sky” from “The Gypsy Baron” was chosen as soundtrack to the Audi TV advertising campaign in 2011. 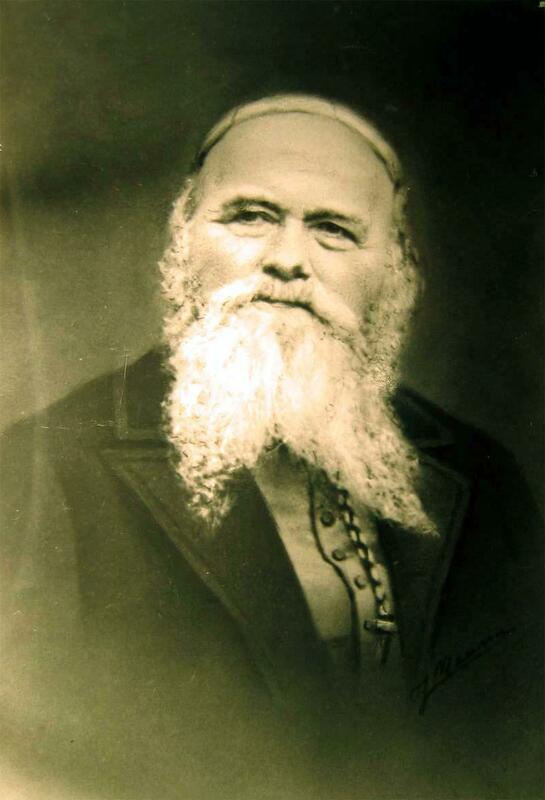 Ambroise Calfa (1831-1906) was the older brother of Archbishop Khorene Nar Bey de Lusignan (q.v.) He was a Patron of the Order of the Crown of Thorns. From 1878, Ambrose and his brothers claimed publically that they were members of the cadet branch of the House of Lusignan, which had provided medieval Armenia’s last sovereign. 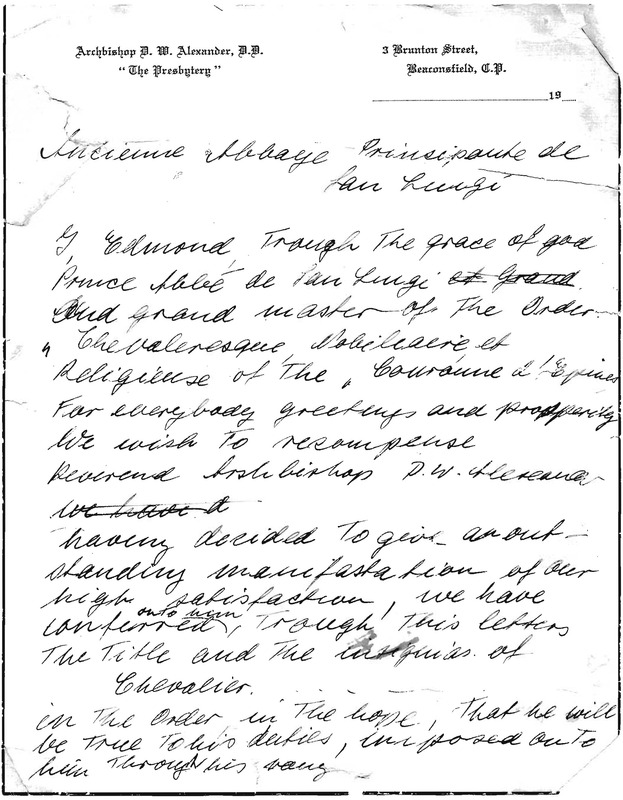 They based these claims on a letter of recognition which was addressed to them by the head of the elder branch of their family, a cousin of their father named Prince Louis Christian de Lusignan (1807-84). Prince Louis was a colonel in the Russian army and his titles of Crown Prince of Cyprus, Jerusalem and Armenia had been recognised by the Russian Empire. He was the eventual heir to Louis, the last French Marquis de Lusignan, who was the brother of his great-grandfather. E.P. Karnovich’s Rodovye prozvaniya I tituly v Rossii (Family Names and Titles in Russia) (St Peterburg 1886) discusses Louis de Lusignan’s case. According to Karnovich, there was a colonel named Prince de Lusignan in the Russian service, allowed to be called the titular King of Cyprus and Jerusalem by Tsar Nicholas I. He claimed to be descended from Christobul de Lusignan, who had served in the Greek army under the Byzantine empire and was allegedly descended from a member of the Cypriot House of Lusignan who had moved to Egypt and on to St Petersburg in Russia. Tsar Nicholas I allowed Colonel Lusignan to be matriculated as a Russian noble. In the issue No. 180 of the Peterburgskiy Listok (Petersburg List) Newspaper July 3–15, 1884, a list of the deceased in St Petersburg between 11 June and 18 June was found. There was a record for Louis Christian de Lusignan, colonel (retired). In the same newspaper, issue No. 172 June 25-July 7, 1884, the following article was published: “The deceased who was buried thereby on Smolensk graveyard on 23 July, was titled King of Cyprus and Jerusalem and Armenia, descendant of one of the protectors of God’s Casket, colonel of the Russian service, Louis de Lusignan.” An obituary was also published for him in the New York Times, which referred to his tireless but unsuccessful attempts to restore his kingdom. Miron Cristea, (monastic name of Elie Cristea; July 20, 1868 – March 6, 1939) was an Austro-Hungarian-born Romanian cleric and politician. A bishop in Hungarian-ruled Transylvania, Cristea was elected Metropolitan-Primate of the Orthodox Church of the newly unified Greater Romania in 1919. 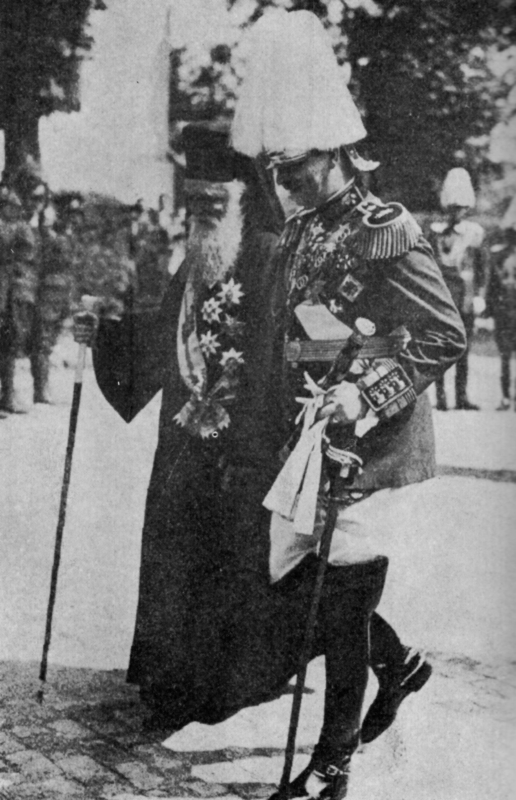 As the Church was raised to a rank of Patriarchy, Miron Cristea was enthroned as the first Patriarch of the Romanian Orthodox Church in 1925. In 1938, Carol II banned political parties and established a royal dictatorship, choosing Miron Cristea to be the Prime Minister of Romania, a position from which he served for just over a year, between February 11, 1938 and his death. The photo at left shows the King with Miron Cristea as Prime Minister. Miron Cristea was a member of the Order of the Crown of Thorns. Born in Topliţa to Gheorghe and Domniţa Cristea, of a peasant family, he studied at the Saxon Evangelical Gymnasium of Bistriţa (1879–1883), at the Greek-Catholic Lyceum of Năsăud (1883–1887), at the Orthodox Seminary of Sibiu (1887–1890), after which he became a teacher and principal at the Romanian Orthodox school of Orăştie (1890–1891). Cristea then studied philosophy and modern philology at the University of Budapest (1891–1895), where he was awarded a doctorate in 1895 – with a dissertation about the life and works of Mihai Eminescu (given in Hungarian). Returning to Transylvania, he was a secretary (between 1895 and 1902), then a counselor (1902–1909) at the Archbishopric of Sibiu. It was then that he was ordained deacon in 1900 and archdeacon in 1901. Cristea became a monk at the Hodoş Bodrog Monastery, Arad County in 1902, taking the monastic name of Miron. He climbed the monastery hierarchy, becoming an archmonk in 1903 and a protosingel in 1908. In 1908, following the death of bishop Nicolae Popea, the election of the bishop of Caransebeş led to a dispute between the Romanian Orthodox Church and the Imperial authorities, when, twice in a row, the elected bishops were not recognized by emperor Franz Joseph I of Austria, at the recommendation of the Hungarian government. Cristea was the third choice, being chosen on November 21, 1910 and obtaining the recognition from the authorities; he became an archbishop in 1919. During World War I, as Romania joined the war on the Allies’ side, Cristea signed on September 1, 1916 a public letter to the parishioners printed at Oradea by the Orthodox Bishophric of Transylvania. The letter called to arms all believers against “Romania the new enemy which sinfully covets to ruin the borders, coming to conquer Transylvania”. Towards the end of World War I, on October 18, 1918, it was founded the Central National Romanian Council, an organization which fought for the union of Transylvania and Romania. On November 21, Cristea, as archbishop of Caransebeş joined the organization and recognized it as the only ruling body of the Romanian nation in Transylvania. On December 1, he was (with Vasile Goldiş, Iuliu Hossu, and Alexandru Vaida-Voevod) a member of Austro-Hungarian Romanian delegation that called for the unification of Romania and Transylvania. 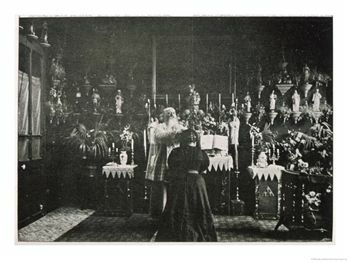 On May 28, 1919, the King and government of Romania went to the grave of Michael the Brave in Câmpia Turzii and Bishop Cristea led the religious service of commemoration and gave a nationalist speech in which he drew a parallel between King Ferdinand I and Michael the Brave and commended the King for not stopping at Turda, but continuing all the way to the Tisa River. Because of his collaboration with the German occupation troops, the Metropolitan-Primate Conon Arămescu-Donici was forced to resign on December 1, 1919 and on December 31, 1919, Cristea was chosen by the Great Electoral College to be the Metropolitan-Primate of Whole Romania with 435 votes out of 447. 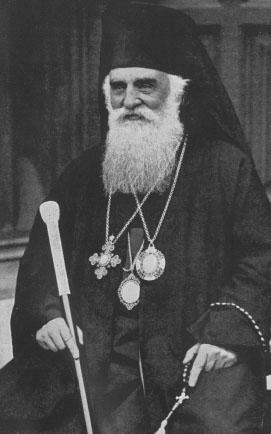 On November 1, 1925, after a Synod was held, Cristea was named Patriarch of the Romanian Orthodox Church. As Metropolitan-Primate and later Patriarch, Cristea continued the tradition of his predecessors to support whatever government was in power. The Church acted as an agent of the state, for instance, in 1920, Cristea asked the clergymen to help the state financially by encouraging the faithful to buy government bonds. Cristea’s discourse incorporated national elements, arguing that the Orthodox faith was part of the Romanian soul and he argued that the church’s values include “patriotism” and “obedience towards authorities” alongside “faith and morality”. Cristea introduced reforms such as the Gregorian calendar to the church, including, briefly, the celebration of Easter on the same date as the Roman Catholic Church. This was opposed by various groups of Old Calendarists, especially in Moldavia, where Metropolitan Gurie Grosu of Bessarabia refused to accept the orders given by the Patriarchy. In 1927, he was chosen by Ionel Brătianu to be one of the three regents of King Michael I of Romania, alongside Prince Nicholas of Romania and Gheorghe Buzdugan. Cristea’s involvement in politics was, however, controversial, being criticised by journalists at Epoca newspaper, who accused him of trying to play the role of Rasputin and being a member of the palace camarilla. This resulted in the issue being confiscated by the police and their offices being vandalized by hooligans, allegedly incited by the government. A dispute arose with philosopher Nae Ionescu, after Ionescu attacked Cristea in newspaper articles following a dinner at Cristea during the Nativity Fast during which they were served turkey. As a response, Cristea requested the painter Belizarie to paint Ionescu’s face on a devil in the Patriarchal Cathedral in Bucharest’s Apocalipse-themed mural. In 1929, because of a serious illness (identified as leucocythemia by his medics), Cristea retired for several months to a country house in Dragoslavele, Muscel County, but despite the bleak predictions about his health, he was soon able to return to Bucharest. On July 6, 1930, Carol II returned to Romania to assume power. On July 7, Miron Cristea and Constantin Sărăţeanu resigned from the regency and the following day, the Parliament revoked the 1926 law which gave the throne to Mihai, Carol becoming King again. Cristea kept his loyalty to King Carol II throughout his rule. In March 1937, as the King attempted to suppress the influence of the fascist movement known as the Iron Guard, Cristea responded to the request sent by the Tătărescu government on limiting the relationship between the clergy and the Iron Guard. Cristea invoked a Holy Synod which banned clergy from joining the fascist organisation and disallowed political demonstrations and symbols in the churches. In a bid for political unity against the Iron Guard, which was gaining popularity, in 1938, Carol dismissed the government headed by Octavian Goga. The activity of the parliament and of all political parties was suspended and the country was to be governed by royal decree. Cristea was named Prime Minister on 11 February 1938 and the government included seven former prime-ministers and people from all major parties except for Codreanu’s Iron Guard and Goga’s Lăncieri, which had violently clashed. Time Magazine described him as a “puppet Premier” of Carol II, whereas historian Joseph Rothschild considered that it was Cristea’s vice-prime-minister, Armand Călinescu, who held the power in the Cristea government. In his inaugural speech, Cristea denounced political pluralism, arguing that “the monster with 29 electoral heads was destroyed” (referring to the 29 political parties which were to be banned) and claiming that the king would bring salvation. The new government stopped the antisemitic violence that was unleashed under Goga’s rule, but the antisemitic legislation in place was not altered, as Nichifor Crainic’s fascist ideology was compatible with the theological-political stance of the Romanian Orthodox Church. Cristea’s government announced a program which put restrictions on various freedoms, especially related to censorship and the introduction of authoritarian measures such as military rule (by declaring a state of siege, which allowed among other things, searches without warrant and the military appropriation of privately-held guns) and the death penalty, but it promised prosperity through some constitutional and social reforms, which were to include the “organized emigration of Jewish surplus population”, that is, the expulsion of Jewish people who came to Romania during or after World War I. However, it eased the Jewish restrictions imposed by the Goga government. The external politics of the Cristea government were based on seeking an alliance with the United Kingdom and France, away from the friendship with the Berlin-Rome Axis supported by the Goga government. In 1938, Carol II was made a Knight of the Garter by King George VI of England. Cristea also visited Poland, with which Romania had an alliance and with which it tried to create a neutral block between Nazi Germany and the USSR. Among the policies Cristea introduced during his rule as Prime Minister was a crackdown on Protestants, by disallowing religious services to small congregations with less than 100 heads of families, basically banning the services in around 1,500 small chapels belonging to various Christian denominations. Despite worldwide protests from the Baptists, the ban was only lifted after Cristea’s death by his successor, the National Renaissance Front’s Armand Călinescu. On February 20, a new constitution was announced, which organized Romania as a “corporatist state” similar to that of Fascist Italy, with a parliament made up of representatives of the guilds of farmers, workers and intellectuals. Four days later, on February 24, the constitution was approved, with 99.87% of votes in favour, through a plebiscite whose integrity was disputed. Upon the approval of the new constitution, Miron Cristea’s government resigned on March 30 in order to form a new government on the same day. The new government banned all political parties, their activity being only suspended before that. With Romania effectively crushed between the influences of Nazi Germany and Soviet Russia (both of which were opposed to the Church and the monarchy), it was almost inevitable that, as Allied diplomacy failed in the years leading up to the outbreak of war, the ideology of the leadership would move in the direction of an Italian-inspired Fascism. By the end of 1938, Carol II had introduced even more Fascist-inspired elements: for instance, on January 1, 1939, during the government’s visit to the Royal Palace, they wore uniforms and when meeting Carol, Cristea and the ministers greeted him with the Fascist salute. As with many Orthodox of that time, Cristea’s rhetoric had become more explicitly anti-Semitic and xenophobic. This was in marked contrast to his earlier positions. In 1928, he had made an appeal towards the Romanian students to observe the Golden Rule and had expressed regrets for attacks and profanations of synagogues. Another change in Cristea’s government was on February 1, 1939, which gave extensive powers to Călinescu, who became virtually the head of the cabinet, while Cristea remained nominally the Prime Minister at the King’s insistence. His health deteriorated in January 1939, suffering from two heart attacks, which prompted his doctors to recommend him to stay in a warmer place for a few months, in order to avoid the harsher Romanian winter. On February 24, 1939, Cristea arrived in Cannes, France, but contracted pneumonia while waiting for his niece in the Nice railway station. He stayed in Cannes for treatment, but died two weeks later, on March 6, of bronchopneumonia complicated by heart disease. His body was sent by train to Bucharest, the funeral train stopping in all stations in Romania to permit believers to pay their last respects and say prayers before the body. On March 7, a state of national mourning was ordered and all festivities were cancelled. A week later, on March 14, funeral services were held in Bucharest, Cristea being buried in the Patriarchal Cathedral. His birthplace home in Topliţa is currently a museum dedicated to his life. Each year, on Cristea’s birthday, the Romanian Orthodox Patriarchy organizes “Miron Cristea Days”, dedicated to the first patriarch of the Church and which feature various cultural activities. In July 2010, the National Bank of Romania minted a commemorative coin bearing Cristea’s image as a part of a collectors’ series of five coins showing the Patriarchs of All Romania. This proved controversial because of Cristea’s anti-semitic record.